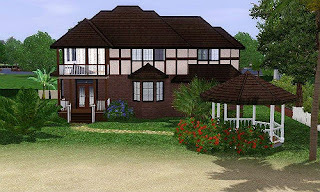 I have used a few patterns that I have downloaded, but most of them i do not remember from where anymore since it was a few years back. 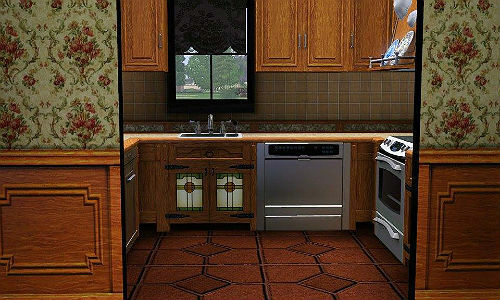 The Kitchen Interrior is by ShinoKCR from The Sims Resource. 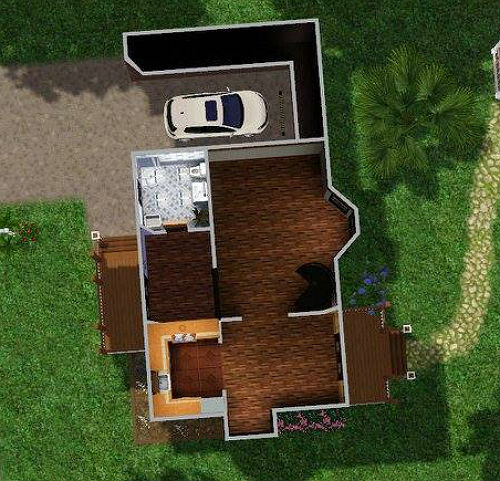 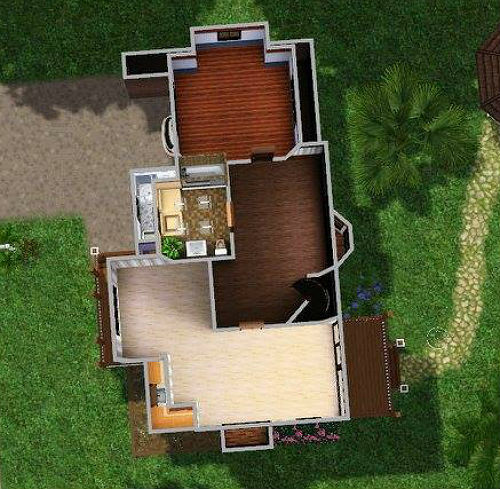 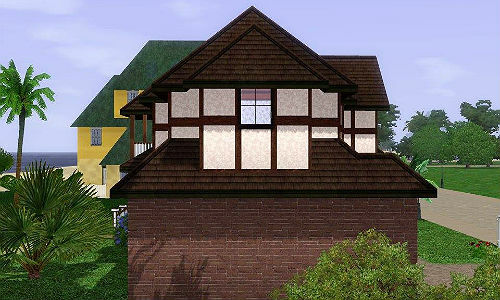 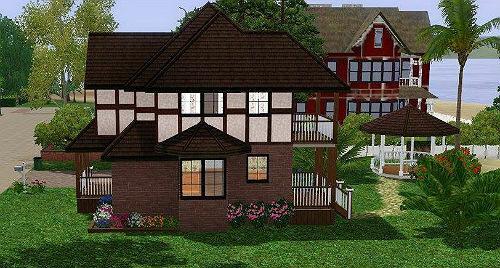 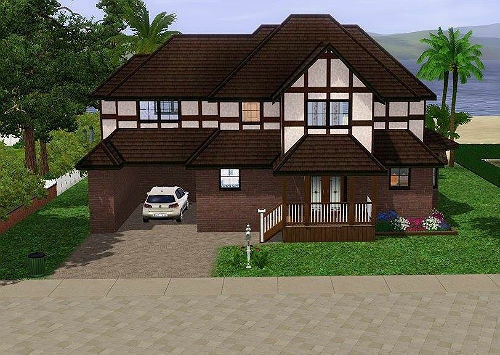 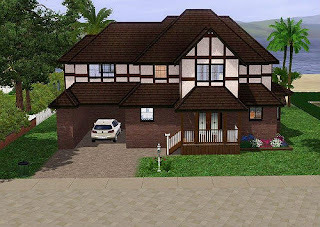 The Bungalow window used in this estate is made by Muske at the sims resource where you also can download it.. All credits goes to the pattern designer and to the other designers that had made the few custom content i use to my houses..